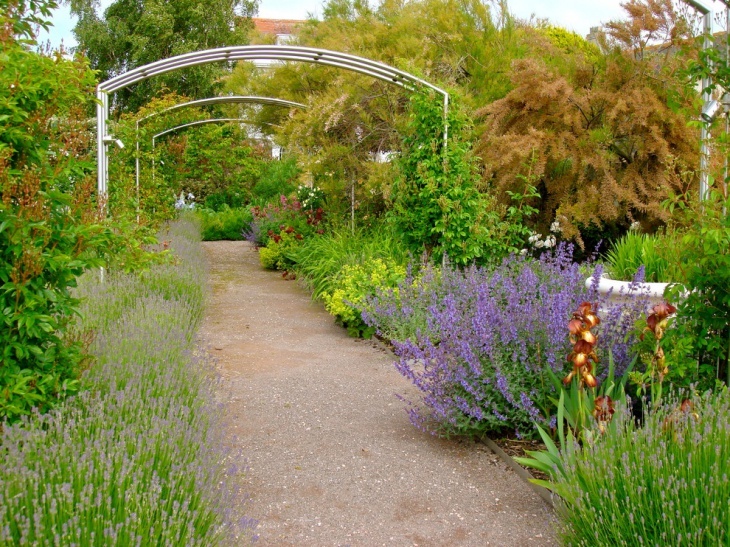 Looking to do something unique with your big garden space? Well, you should start thinking in the lines of garden arbors. 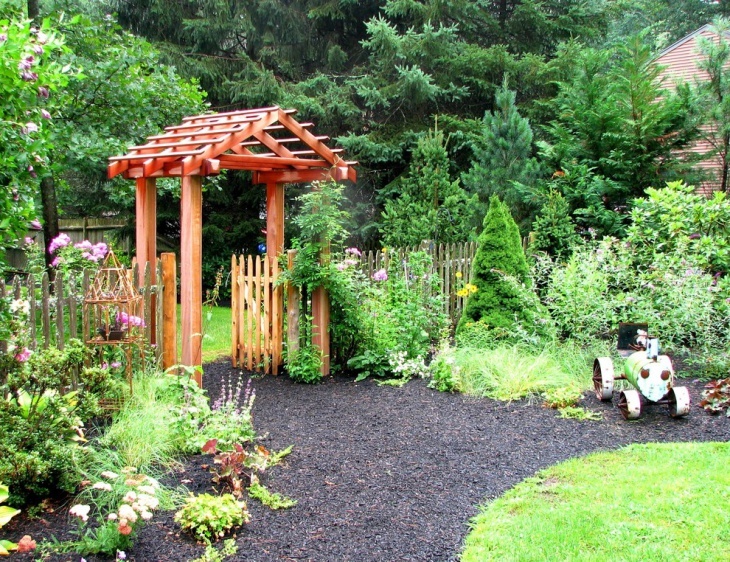 Easy to built, the end result will always be a fascinating addition to your garden space. 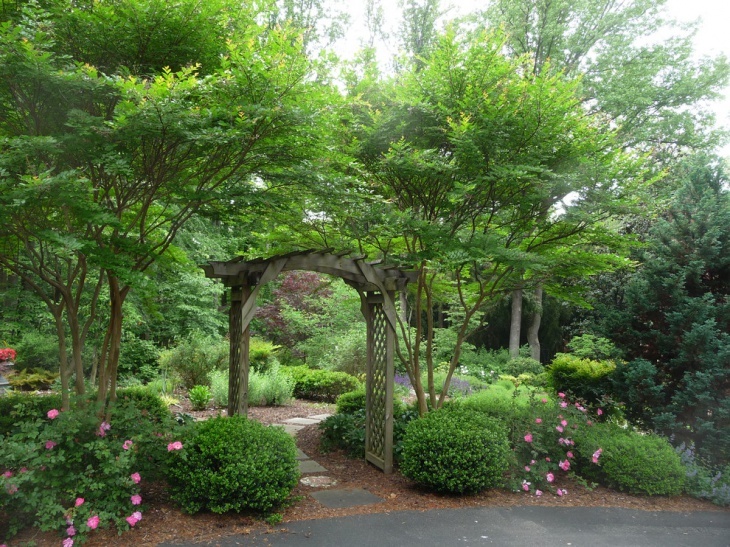 Depending on the landscaping and plantation you have in place, the arbor can be a either a decorative or a functional piece in your garden or both. Let’s take a look at some example to understand it better. 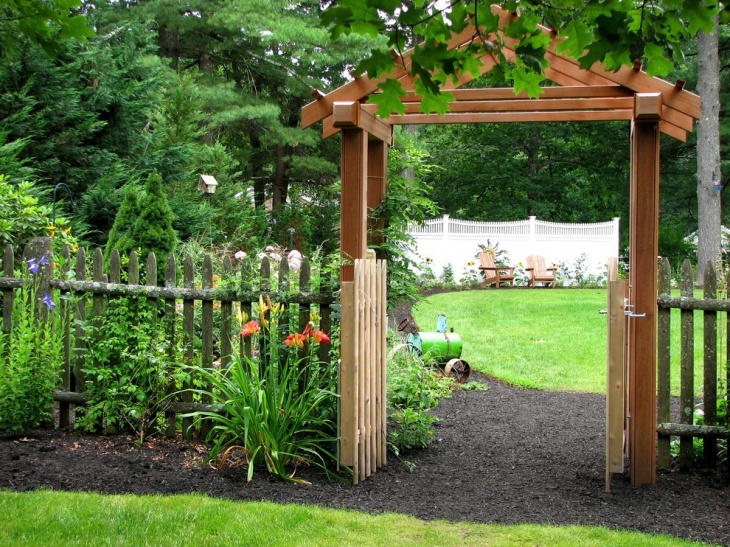 As you can see, an arbor is just like a decorative entrance to your garden space. 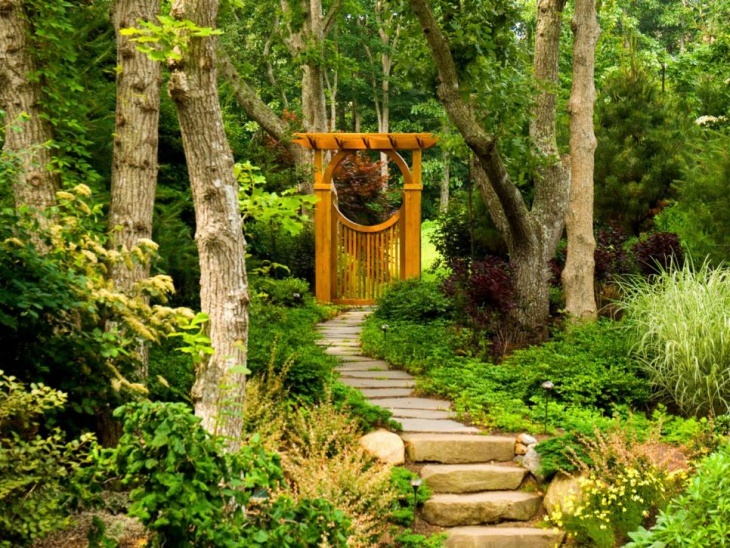 If you have a well fenced boundary for your garden, the arbor could act as an entrance to the space. This not only enhances the aesthetics of the space but also acts as a functional structure. 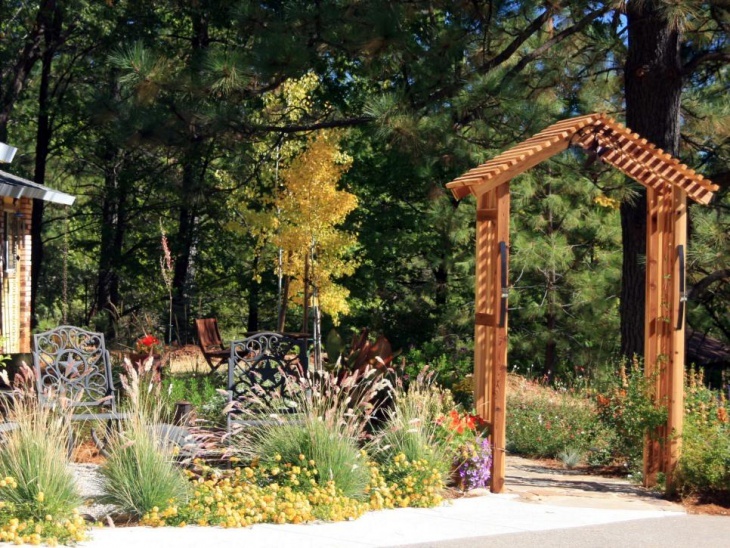 A redwood themed arbor can be a beautiful and contrasting addition to your green wild backyard space. 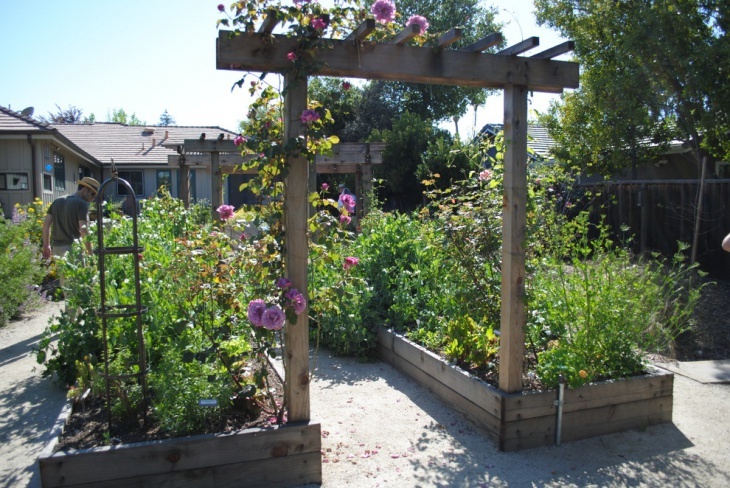 If you are privileged enough to have a garden that offers a lot of greenery in various shades, the only earthly choice of color would be a redwood. This picture should give you an idea about what we mean. 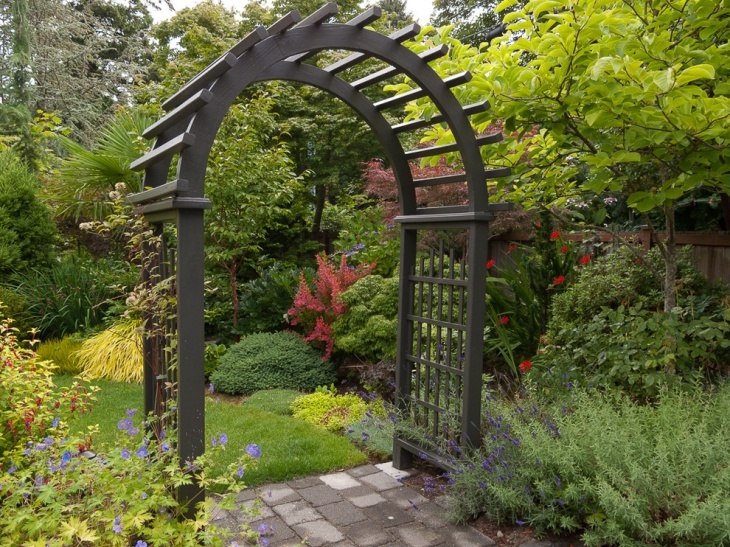 Several homeowners also go for customized metal arbors to mark the pathway into and inside their garden space. Using metal has the advantage of durability and a rustic appeal. As opposed to wood, they are stronger and will be easier to come across. 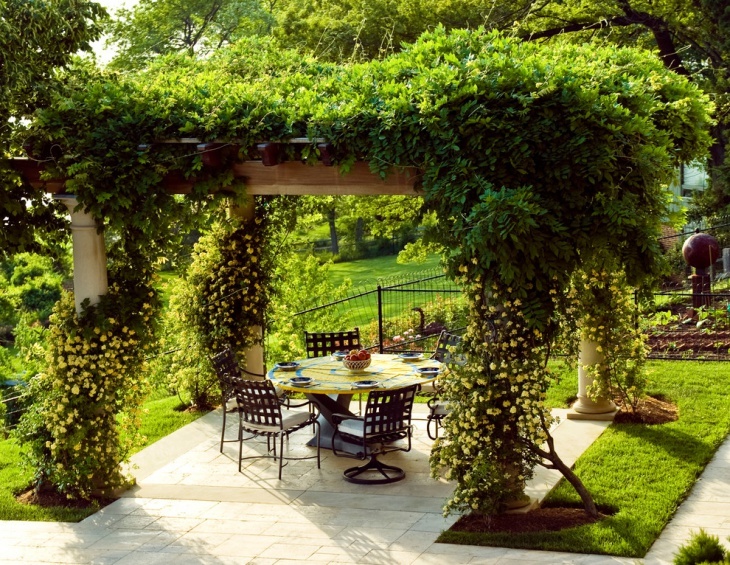 A very simple design, this would be an arbor that anyone can make at home. All you would need are some well cut planks, some big nails and a hammer to put the arbor in place. 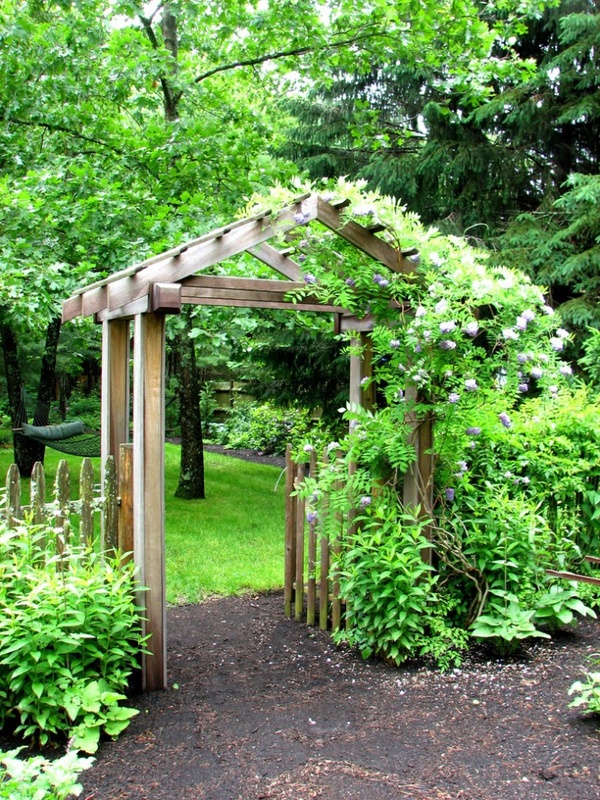 This arbor applies even to smaller gardens. Well, make it your weekend project! 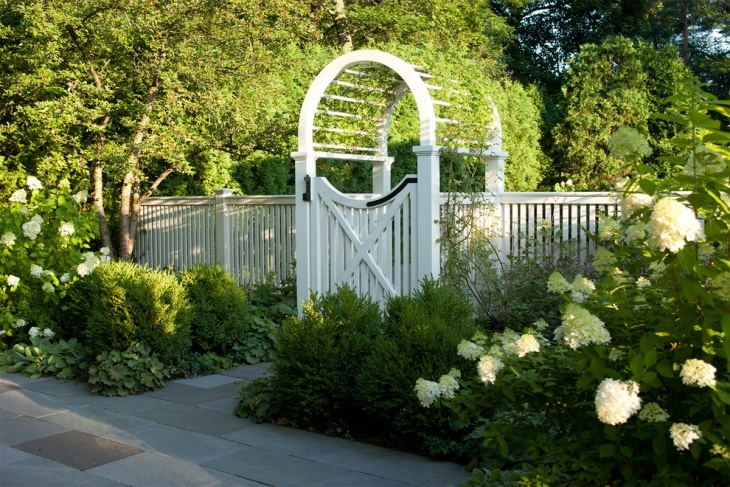 For those privileged enough to have dense green foliage for a garden, a white painted arbor can be an exciting addition here. Acting as the entrance to the garden, it can also be the meeting point of your white fencing to mark your garden boundary. The Pagoda is a well established symbol for the Japanese people. Well, you won’t need to build yourself a temple to bring the symbolism into your private space. 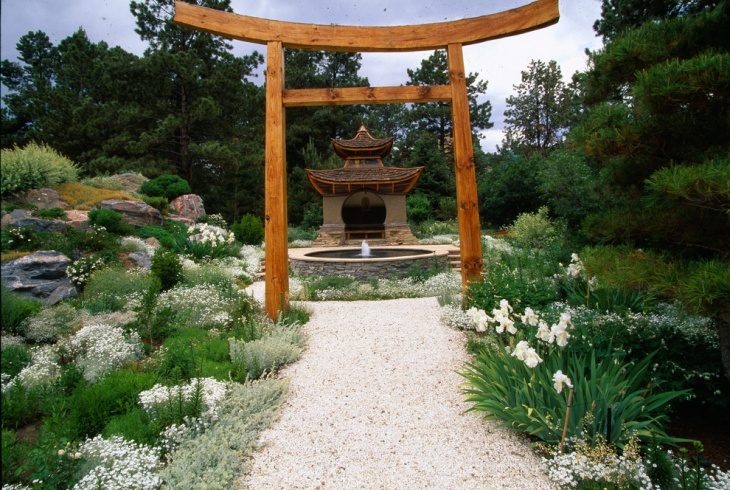 An arbor would be an exciting way to both represent your culture and also create the most spiritual gate to your Japanese garden! 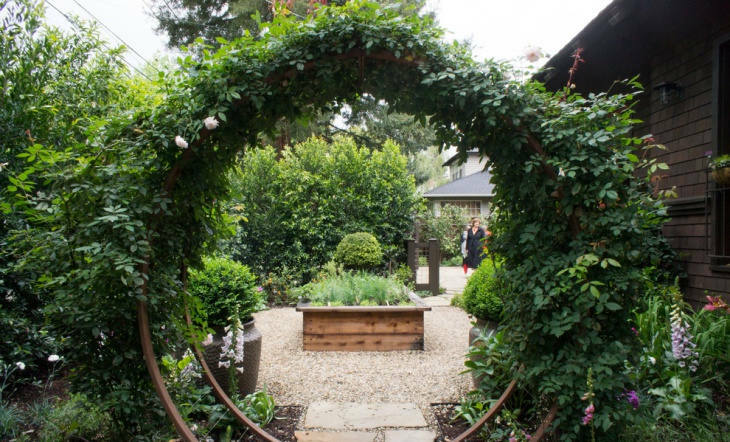 For a smaller garden space, this is another design for an arbor that makes sense and look exciting. Made from wood and insulated with rich brown paint, it could as well be a DIY project in the weekends. Just have the plank cut in the right sizes and shapes and you and your kids can do the assembly yourself! 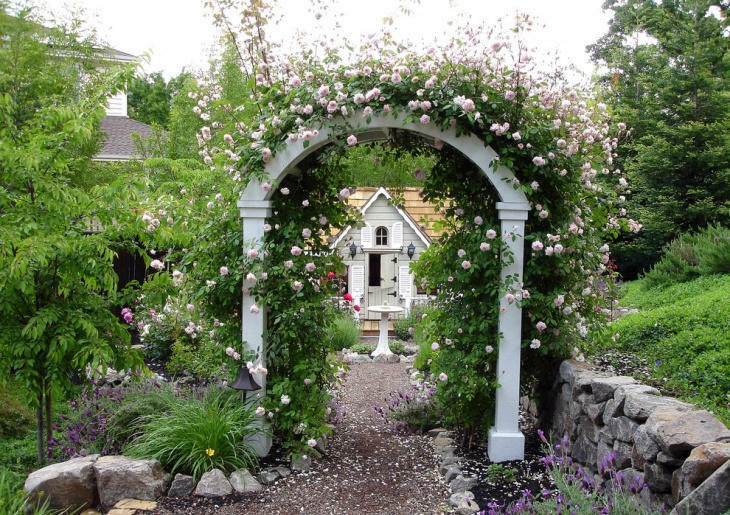 An arbor can also be an exciting structure to guide the way to a sprawling rose garden. 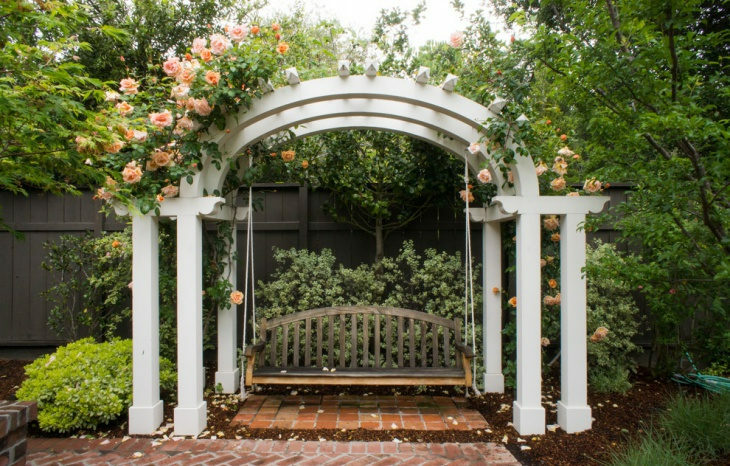 While rose bushes and creepers can itself decorate the arbor all around, as seen in this example, it could be the passage to more surprises and colors. 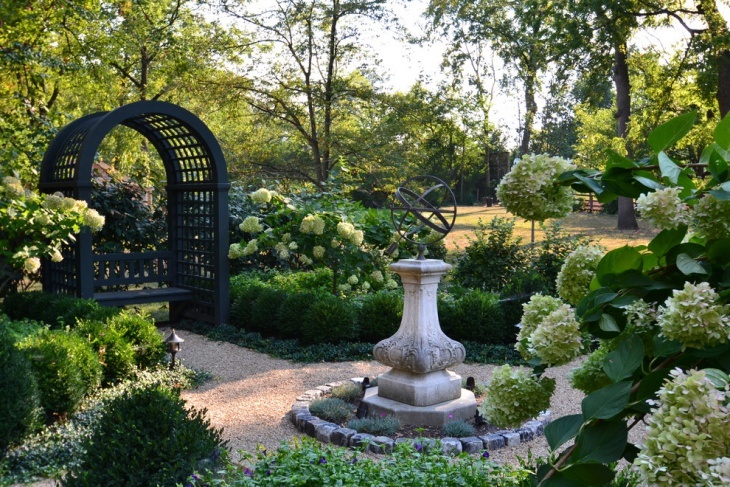 We do hope that you are now more conversant with the idea of a garden arbor. 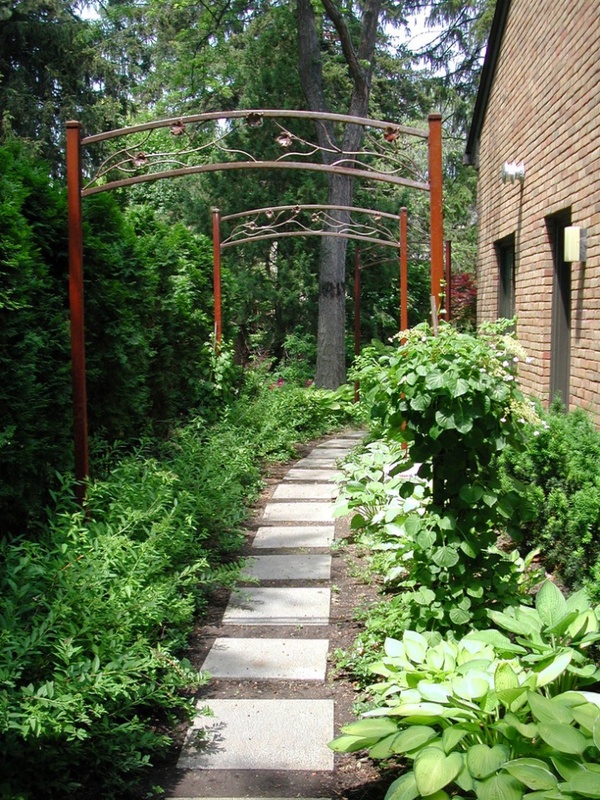 Be it a rock garden or a small backyard, arbors apply to all.